Rudy and Stephanie Heinatz said their time at Thomas Nelson was invaluable. Stephanie Heinatz’s path from Gloucester High School to Thomas Nelson Community College was direct. Rudy Heinatz’s was not. However, the husband and wife both said their time at the College put them on the right road. “It was the foundation of all my collegiate success,” Stephanie said. 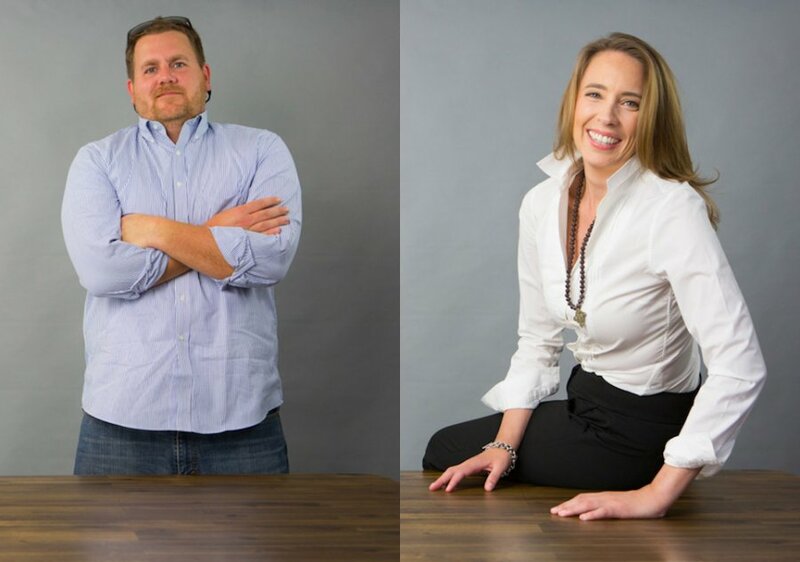 The two, who have been married for almost 17 years, are partners at Consociate Media, a Gloucester-based company that helps businesses market themselves. They are currently working on a memoir project for a family. Their story, they say, was fueled by Thomas Nelson. For Stephanie, selecting Thomas Nelson was a practical decision, for numerous reasons. After graduating from Gloucester High School, Rudy attended Mary Washington University for a year, but admitted he “did not do well. It was not a good fit for me." He grew up in Gloucester so he was familiar with Thomas Nelson. But he did look into another local community college. Neither one could point to a singular crucial or inspiring event at Thomas Nelson, but instead prefer to think of their total experience as one defining moment. They remain advocates of community colleges. “For the cost of a four-year degree now, it makes no sense to me why someone, regardless of economic situation, wouldn’t look at a community college as a viable option for their first two years,” Rudy said. Stephanie, 36, and Rudy, 41, have an 8-year-old son, and their business has grown to more than two dozen clients, many of whom are out of county and out of state. What began about six years ago with just one full-time employee (Stephanie) has grown to four partners, and they are getting ready to move to a new location in Gloucester, about a mile farther north off Route 17. They give credit to their time at Thomas Nelson. In addition to obtaining a solid educational foundation, they didn’t accrue student debt. Rudy likes to think they probably would be in the same place professionally if they hadn’t gone to Thomas Nelson, but he can’t say that with any certainty. Their company's means “to join together, unite in association.” They have never forgotten that their association with Thomas Nelson, which was formed about 20 years ago, was an important part of their lives.